This is where a lot of people waste their money. No matter how cool or amazing something seems and no matter how cheap it is, if it’s worthless then it’s worthless. While we may think that spending $100 on something that used to cost $200 (50% off sale) is a good deal, life is really not that simple. How many times have we bought something we don’t need just because it was on sale? That expensive new shirt or blouse that we only used once. That cool gadget or tool we once bought that’s now gathering dust in the cabinet. There are also those things we bought for “retail therapy”, going shopping for things we don’t need just because it’s fun to go shopping. If you don’t need something and it doesn’t make your life significantly better or more enjoyable in any way, then it’s most likely not worth it no matter how cheap it is. Again, it’s the value you get that matters, not the price. Some time ago I needed some boardshorts for a five day training seminar in Boracay (a world-famous beach in the Philippines). While I’d usually buy a cheap pair from some random street vendor for less than $5, I decided to get a relatively expensive $35 pair (already discounted) made of tough fabric like this one from Ripcurl. Three years and several harsh outdoor events later, that pair of shorts still looks amazing. Even though it’s somewhat expensive, it was totally worth it. Spending more on good quality gear is worth it especially if you will use them often. By buying cheap just because they’re cheap, you’ll not only look and feel cheap, your gear might also fail in the worst possible moment. Can you imagine your hiking shoes suddenly ripping apart while you’re hiking along a cliff’s edge? I personally don’t want something like that to happen to happen to me, and you probably don’t too. By the way, never confuse “expensive” with “quality”. There are lots of expensive luxury gear out there that are simply terrible. Quality is quality, and if you look hard enough you can always find (or rent) great gear at relatively cheap prices. Instead of wasting money on “stuff” that don’t bring you any more joy than the thrill you got from buying them (i.e. “retail therapy” junk), try spending money on excellent experiences instead. Experiences bring more joy over the long term, after all. Just try opening your cabinet full of clothes or your cabinet full of stuff. How many of them still make you smile? Now try to remember latest the beach trip you had with your best friends and family, your last leisure trip to another country, or the last outdoor adventure you’ve had. They probably bring you more joy compared to all the “stuff” you bought these past few months. Sure, you can spend tens of thousands of dollars on a luxury five-star vacation or amazing stuff… but are they still worth it if they’ll put you in massive debt? 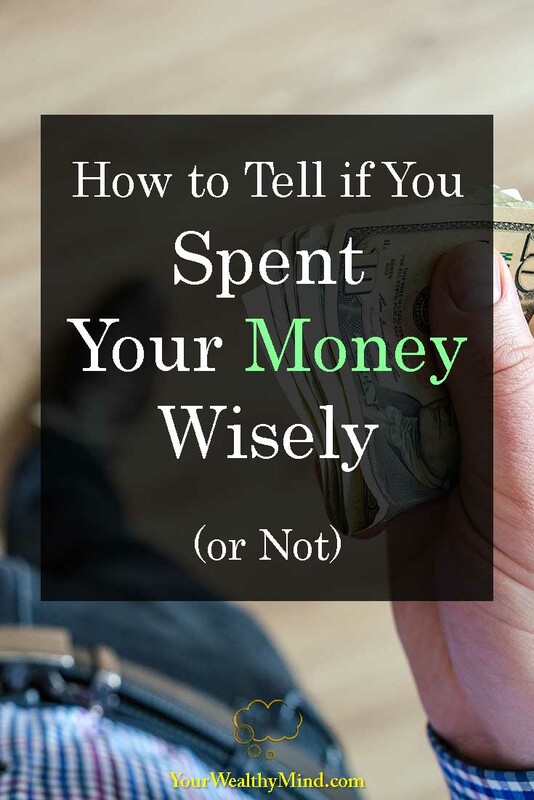 After factoring in the stress and headaches you’ll get from the gigantic monthly payments, the constant fear and dread from the very real possibility of bankruptcy, and the opportunity costs of delaying or destroying your chances of financial stability, are they REALLY still worth it? Probably not. That’s another thing you must consider. A lot of expensive things might be worth the money… but only IF you have the money. A lot of things are not worth the crushing debt. Learn to live within your means. Long ago, one of my friends paid almost $2,000 for a helicopter ride. Was it worth it? If he was an ordinary office worker with an ordinary salary and there’s no particular reason for it, then it probably isn’t. At that time, however, he was dying of altitude sickness (also known as AMS) while hiking to Mt. Everest’s base camp and he needed to be airlifted to the nearest hospital in order to survive. Was that helicopter ride worth it? Of course it was. He would have DIED if he didn’t, and thankfully his insurance covered most of the cost anyway. When deciding how you spend money, the value you get from something is more important than the price. Circumstances affect how valuable things are. For example, to an Inuit hunter living in the frozen landscapes of Canada, a good hunting rifle is worth more than a million dollar painting. If there’s something you desperately need like a life-saving medical treatment, an excellent opportunity to improve your life, or a way to prevent disaster (like insurance, installing fire alarms, etc. ), then you shouldn’t mind paying a high price for it at all. Also, if an excellent opportunity presents itself, like a chance to meet a VIP client and get a million-dollar contract, then you shouldn’t mind paying for the expenses either. There’s a reason why top executives do lunch deals in high-class hotels and restaurants instead of McDonald’s after all. You can spend a million dollars on a useless giant golden rabbit statue… or you can spend that same amount on a great piece of rental property that earns several thousands of dollars a month for the next few decades. Only one of those is a great expense/investment. This is what Robert Kiyosaki taught in Rich Dad, Poor Dad. “You must know the difference between an asset and a liability, and buy assets.” Assets put money in your pocket, liabilities waste your money. Spending a dollar on something that will give back ten is a great deal and that’s why you must learn to do that more often. Learn how to invest in assets like stocks, bonds, mutual funds, real estate, your own business, and more. By the way, there are exceptions in certain cases. Sometimes assets can be liabilities in disguise (and vice versa). If that rental property is in a terrible location and it doesn’t earn you any money, then buying it is a waste of a million dollars. On the other hand, if you sold that golden statue for a hundred million because it was made by a famous artist or something, then THAT one is the much better investment. Again, circumstances matter. Why do people pay a lot of money to send their kids through college? Simple. It’s because the knowledge their kids can gain and the connections they’ll make will help them get better jobs and earn more money. Far more money than what it cost to pay for the years of school expenses. There’s something a lot of people forget. Education should NOT stop after graduation. You don’t need additional lessons in a school setting to continue learning. You can learn what experts and professionals learned by reading the books and guides that they wrote and published. It’s not just books either. There are online articles, instructional videos, online tutorials, live workshops, and more out there that you can use to improve yourself. Imagine this. Instead of spending $10 on three lattes at an expensive coffee shop, what if you bought a great book instead? What if that book was an investing book and it taught you how to earn thousands of dollars in ten years through investing in stocks, bonds, mutual funds, real estate, and more. Would that expense be worth it? It most certainly would be. We all earn what we earn today because we learned HOW to do the job that we do. If we can learn things that can improve the quality of our work, then we can improve the quantity of our pay. A few dollars and a few hours of reading for knowledge that can massively improve the quality of our lives. Wouldn’t that be great?